The club was founded originally as St Matthews Boys Club but the founder Michael Reilly felt that this name was too closely associated with the local church. Hence in 1980 he took the decision to change the name to West Park United Boys Club. The main aim of the club has been and always will be to encourage the playing of football amongst children of all abilities and at the same time ensuring that players with better ability can proceed to a higher level. Whilst the club was founded and is based in Bishopbriggs and is proud to associate themselves with the town, membership is open to all. The club follows the SYFA Player Pathway, beginning with our Soccer Academy for 5 & 6 year olds, progressing to Fun Fours for 6 & 7 year olds and onto 7-a-side for 8 – 12 year olds (of primary school age). Our aim is to develop their footballing and social skills through coaching sessions that take place throughout the year, with our base being split between Bishopbriggs Academy and Huntershill Community Sports Hub for our male players and Turnbull High School for our female players. 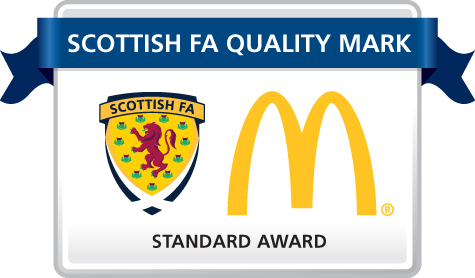 Our older age section plays 11-a-side competitive football in local West of Scotland leagues and enter into the national competitions that are run by the Scottish Youth Football Association and Scottish Womens Football. 2012 saw the formation of our first Girls team, participating at 8 – 12 years age group and with that a re-designed Club badge, recognising our status as a football club (rather than just a boys football club). The success of the girls section has been such that season 2017-18 saw the formation of a women’s senior team, competing at regional level in the third tier of the SWF’s national league and long may our Club offer the opportunity to play our national game regardless of gender, class, colour or creed. On the playing side the club has been successful over the years and have amassed a number of titles and trophies including Scottish cup victories and various league championships as well as many tournament wins. Many of our former players have went onto become professional players with senior clubs in Scotland and in England. 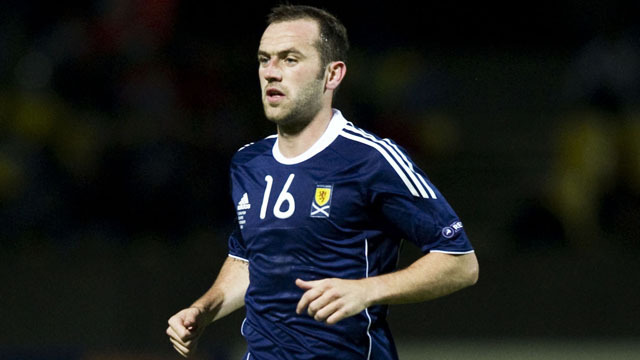 James McFadden (pictured above) who transferred from Motherwell to Everton for a fee of £1.5 million and became our first ever full capped player with Scotland. The Scotland Under 21 squad of 1994 had the unique distinction of having four players from our club in their selections when along with McFadden, Simon Lynch, (Celtic, Dundee, Preston NE, Hearts); Tam McManus (Dundee, Hibs) and Burton O’Brian (Livingston, Blackburn Rovers, Sheffield Utd) accompanied him. Other ex-players include Kevin Harper (Dunfermline, Hibs, Derby, Portsmouth), Alec Williams (Ayr United) Brian Graham (St Johnstone, Dundee Utd, Hibernian), Marc Stewart (Bradford City, Falkirk) and Paul Hay (Stirling Albion). We sincerely hope and firmly believe that this list will grow with the inclusion of some of the outstanding talent currently at our Club. Season 2003/04 SYFA Age Change rule.ie Previous season age group add two years on.